“50% mineral – Only half based on polymer” – Lower environmental impact! The matrix polymer that creates a strong and unique material is polypropylene and/or polyethylene, which are the conventional packaging polymers with the lowest environmental impact. 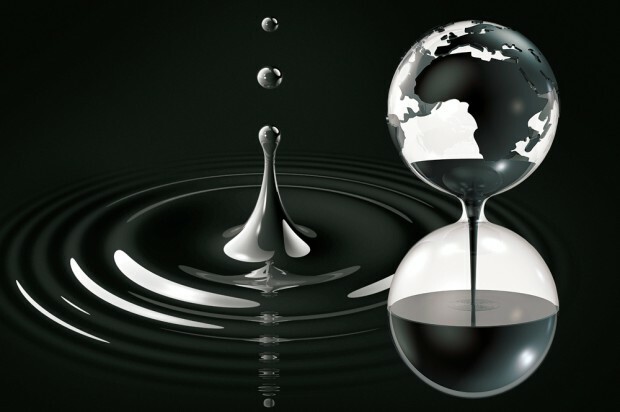 With SCANFILL you can produce more at the same time as less of the Earth’s resources are used. SCANFILL consists of 50% non-oil based raw materials. A valuable environmental contribution when we see that the Earth’s oil reserves are running dry. Although the plastics industry only account for a small part of the global crude oil consumption, it is important that everyone takes responsibility and contributes wherever possible. The savings possible by using SCANFILL are anyhow remarkable. 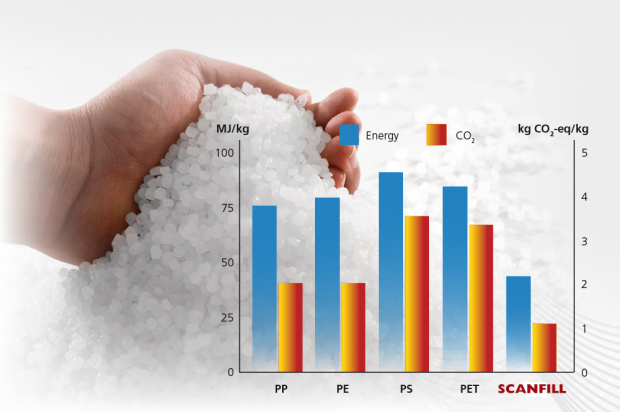 If 1000 tons of a packaging in polystyrene is exchanged with SCANFILL, the savings of Greenhouse gases are equivalent to 2400 tons CO2. This can be translated into what a new average car emits during 18 million km driving, or 450 trips around the globe. At the same time, less energy is used equivalent to 12.5 million kWh, which can be translated into 2500 medium sized families’ household electricity consumption per year. In Sweden approximately 185 000 tons plastic packaging is used every year.